the life you love—wherever you choose. Whether you or your family member lives in a house, condominium, apartment or assisted living, there are many benefits to remaining in a familiar home. It’s a place filled with memories, everyday routines and valued personal possessions. There may be financial advantages to remaining in your family home or apartment. No matter your age, you may recognize the need for professional support and guidance to assist you in creating a safe, organized and secure environment for now and the future. When it comes to aging in place, everybody has different needs. I can help with all of them. I have devoted myself to helping people regain the ability to do day-to-day tasks. Let’s Talk About Aging in Place. Get as much help—or as little—as you need at an affordable price. Needs Assessment and Recommendations—Assess clients’ needs, goals, values, interests and abilities and recommend strategies, equipment, exercises and community resources for mobility, leisure, organization and self care needs. Match abilities with meaningful daily activity at home or in the community. Home Modification Coordination—Identify a contractor who can do the necessary modifications and oversee the process. 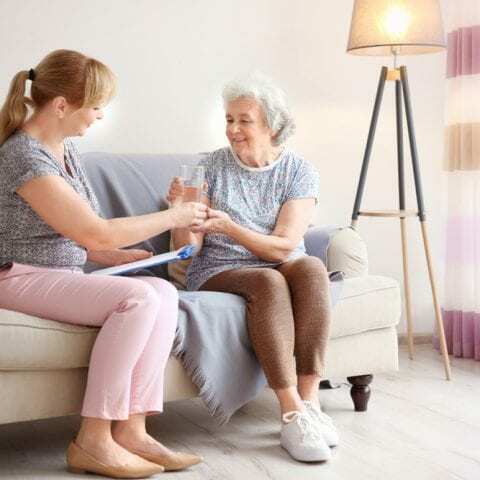 Client or Caregiver Education—Show you or a caregiver the best ways to be safe and secure a while maintaining maximum function in the home. § Fall Prevention Education—Injuries from falls are a significant public health problem. I can review strategies for staying on your feet and minimizing injuries. Product and Professional Recommendations —Provide sources to purchase useful everyday products and adaptive equipment for self care and leisure and access other helpful community professionals. Are you new to town? Do you and your parents live in different cities? Get personalized help for yourself or a family member from an experienced healthcare professional with local connections. While the concept of Aging in Place has become popular recently, it’s something I’ve been involved with for some time. During my thirty years of work as a Licensed Occupational Therapist at Sinai Hospital,Johns Hopkins Hospital, Easter Seals, Genesis Healthcare and Towson University, I have devoted myself to helping people regain the ability to do day-to-day tasks. With a strong mental health background and experience in rehabilitation,assisted living and community settings, I focus on engaging with each person in order to assist them in identifying their needs, reaching their goals,maintaining their valued roles and participating in their interests and activities. Today I’m making my varied background and extensive experience available to Baltimore-area individuals, families and professional caregivers. I am dedicated to helping people who are looking for the kind of individualized assistance, guidance and professional evaluations that will help them or a loved one keep living the life they love. If that sounds like what you’re looking for, let’s talk.